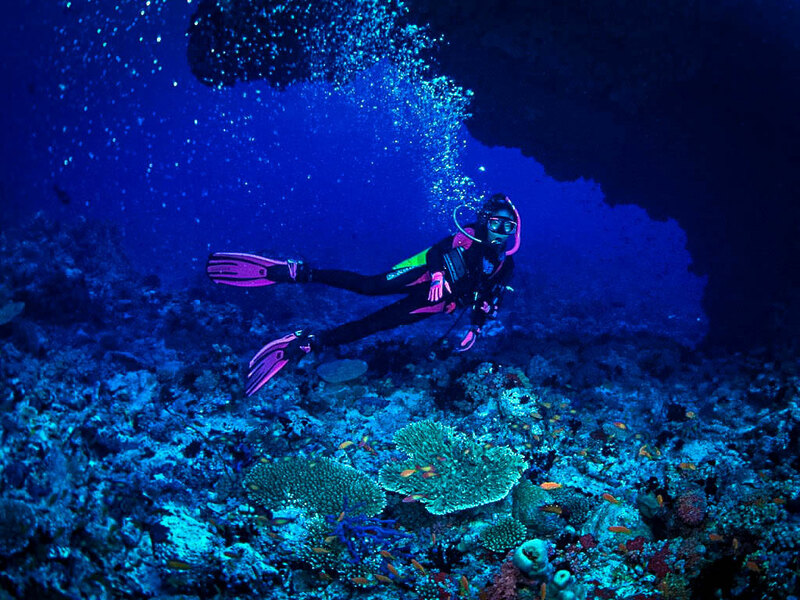 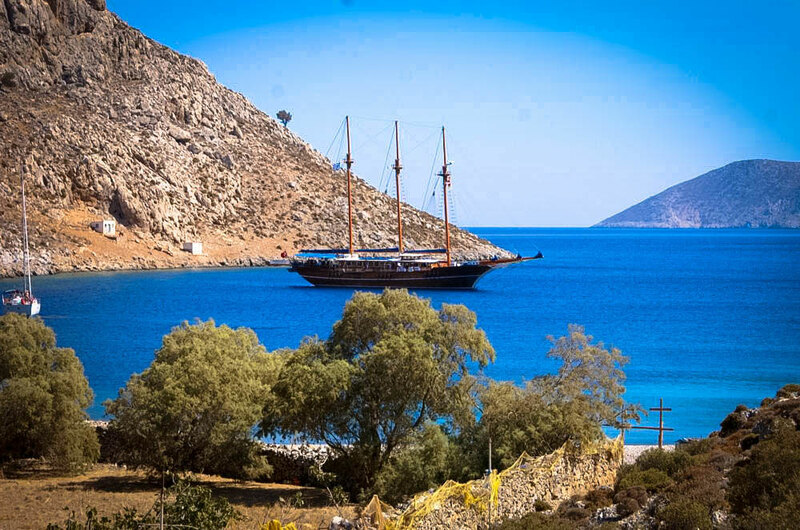 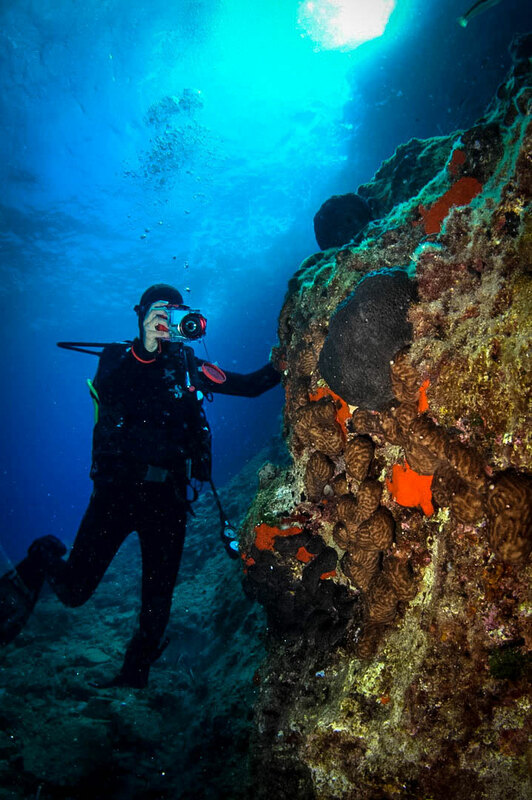 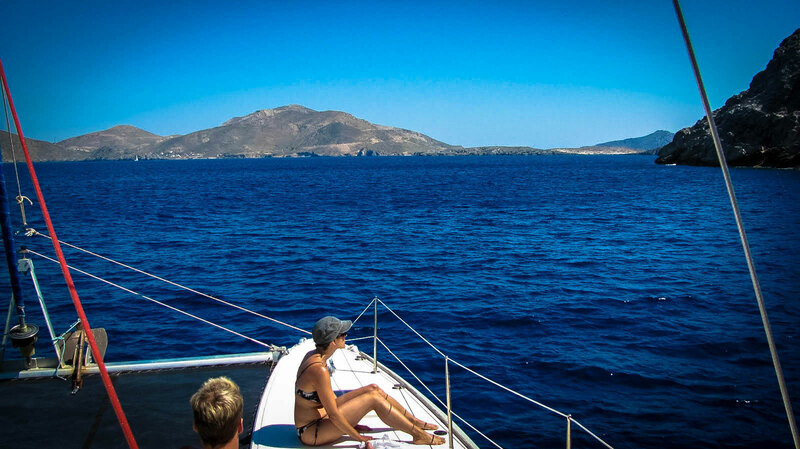 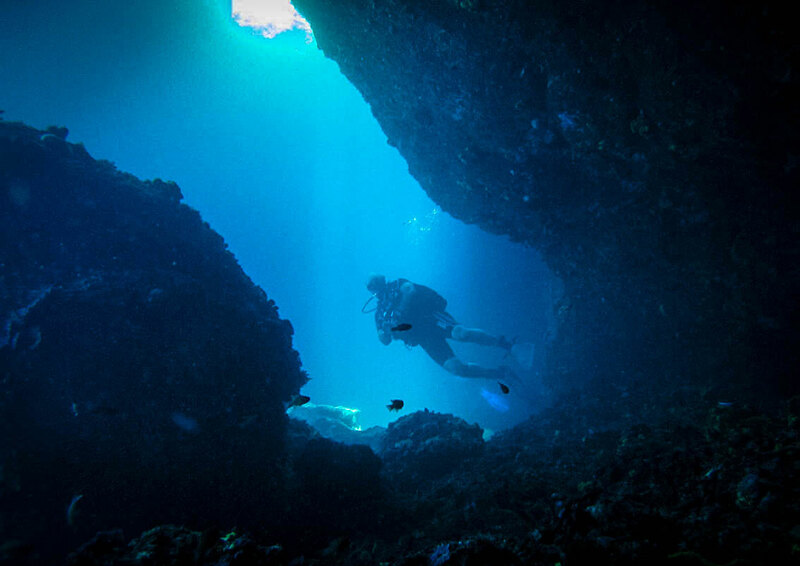 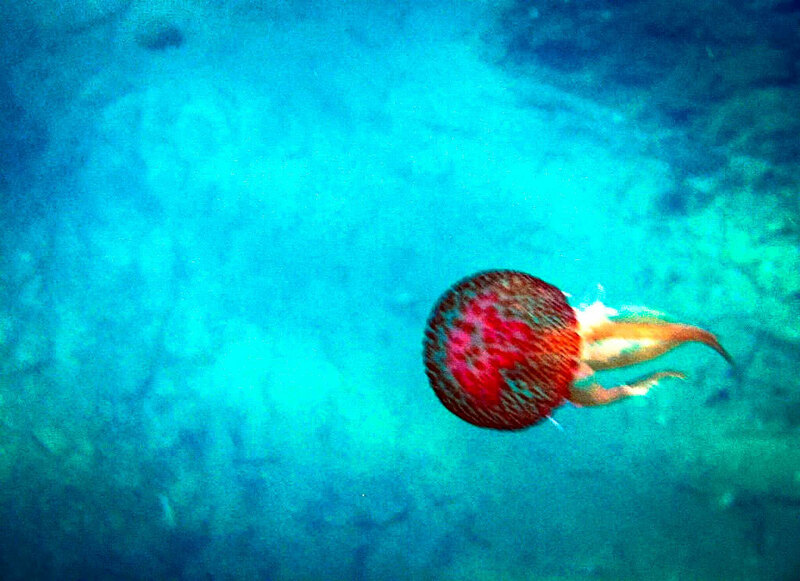 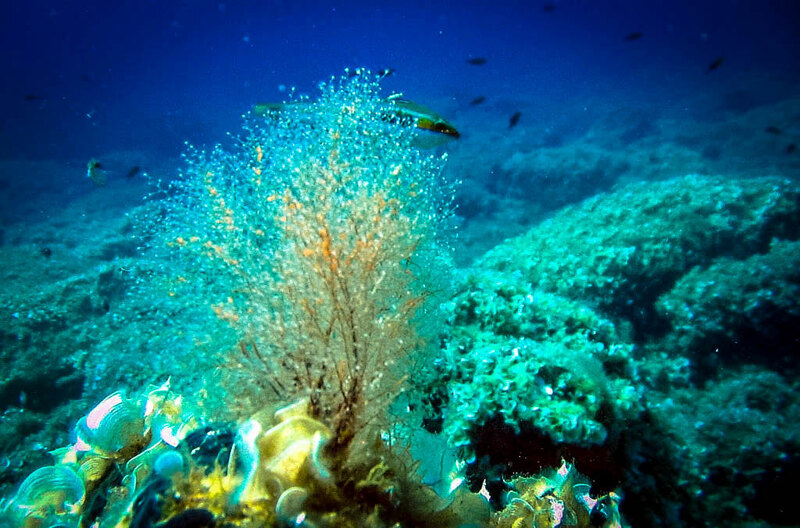 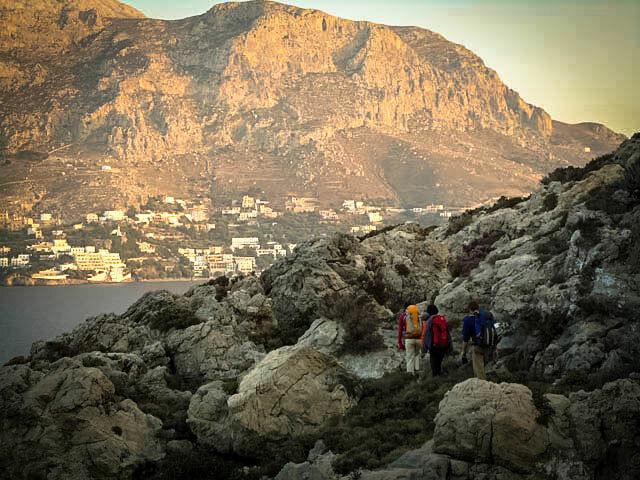 Kalymnos is the first destination for every diver as the sea offers a unique and rich underwater ecosystem. 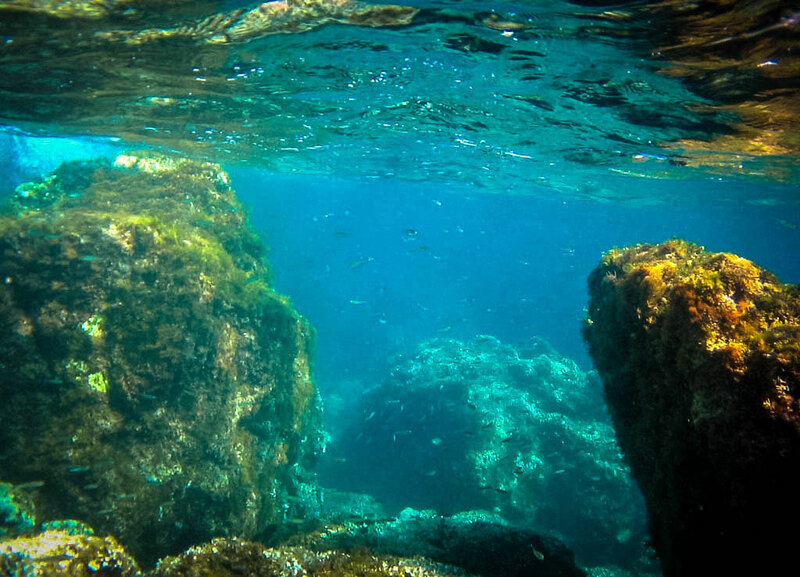 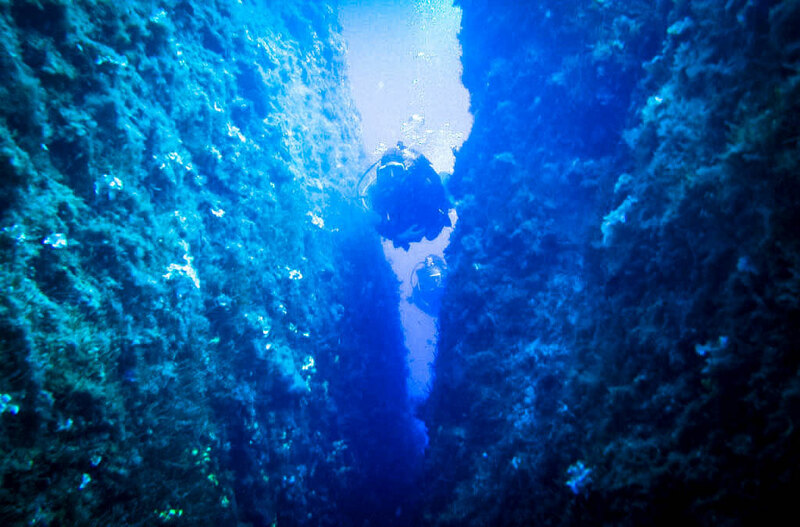 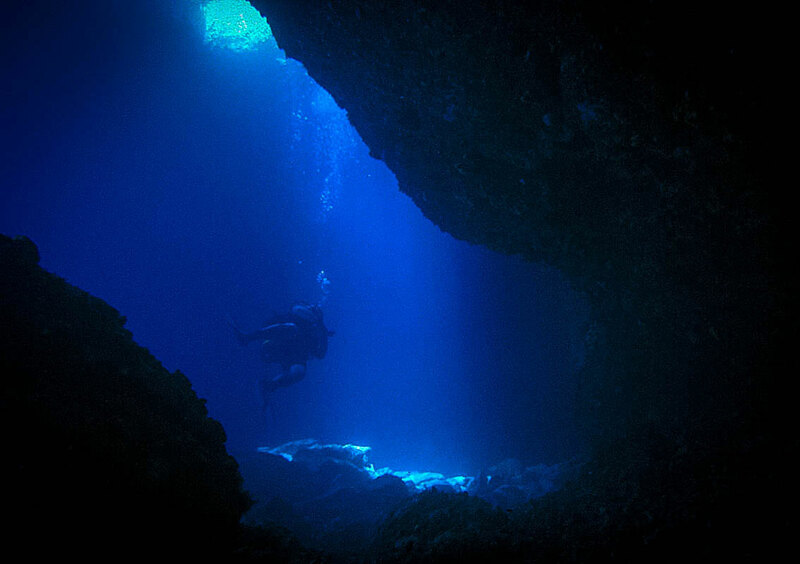 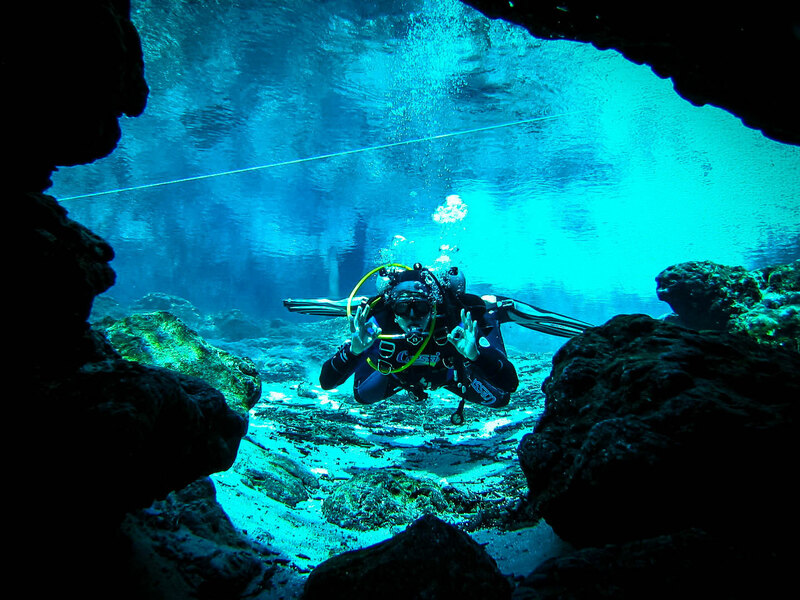 Has a big tradition in diving, the first diving park in Greece, 12 klm of coastline for diving, the biggest in Greece. 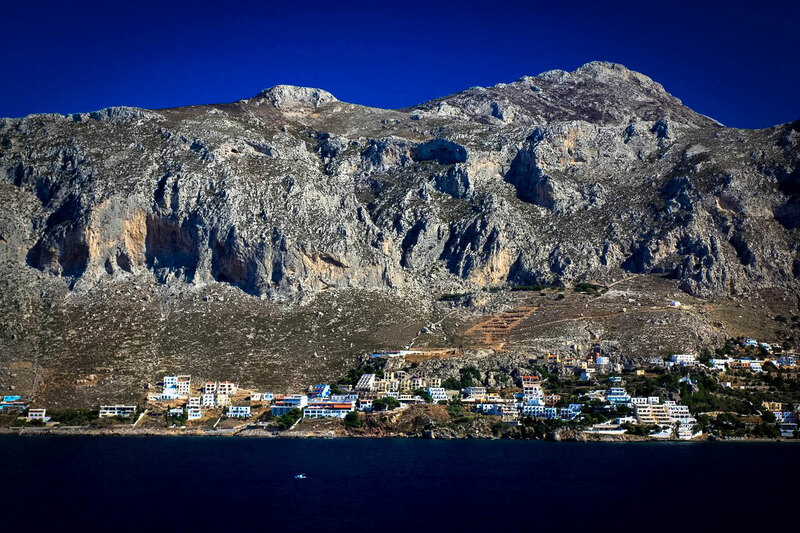 Kalymnos has unique facilities in Europe of sponge fishing including brand new hyperbaric chamber operating in Kalymnos Hospital under the supervision of qualified and experienced medical and nursing staff. 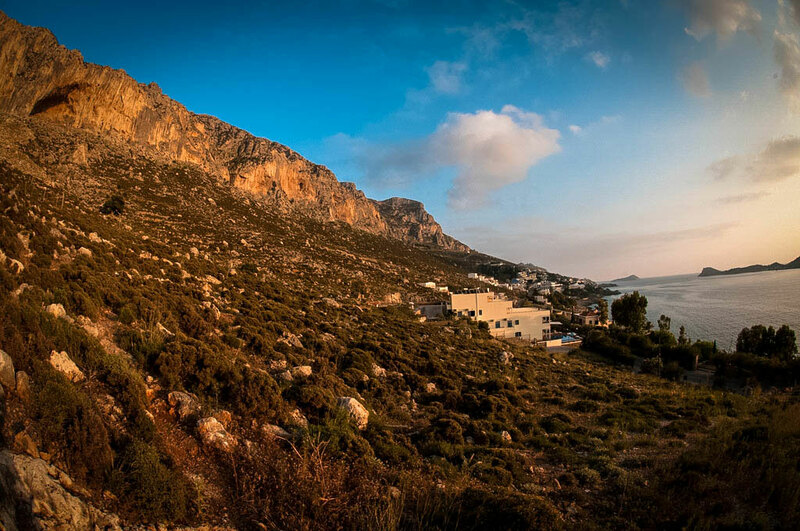 The streets of the island are ideal for hiking tours in all parts of Kalymnos as they are overlooking the crystal clear sky and the blue sea in all of its forms calm or stormy.The hiking trails from Myrties to Masouri overlooking the island of Telendos are breathtaking as well as those from Myrties to Emporio or Palioniso for those who can stand up walking. 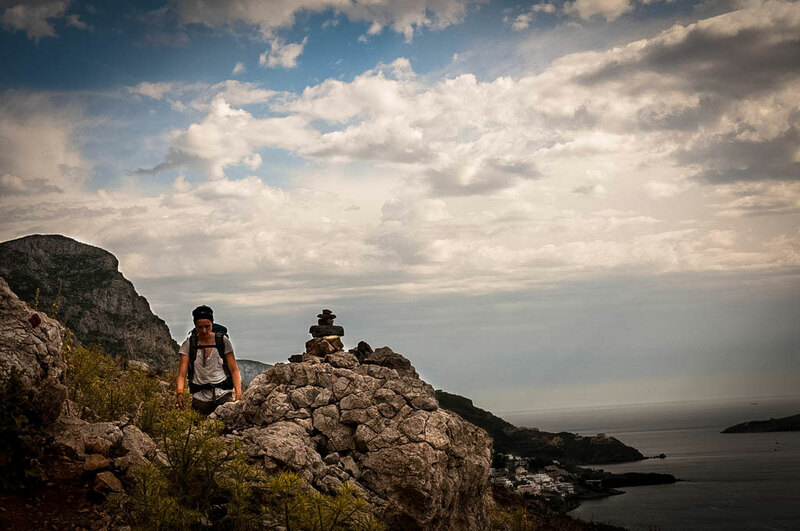 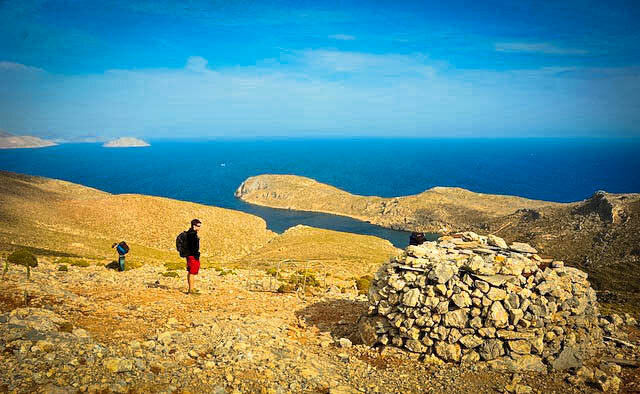 The path from Arginonta to Stimenia is also particularly fascinating ,the hiker can admire from the top both the west and east side of the island and can see clearly the Turkish coast. 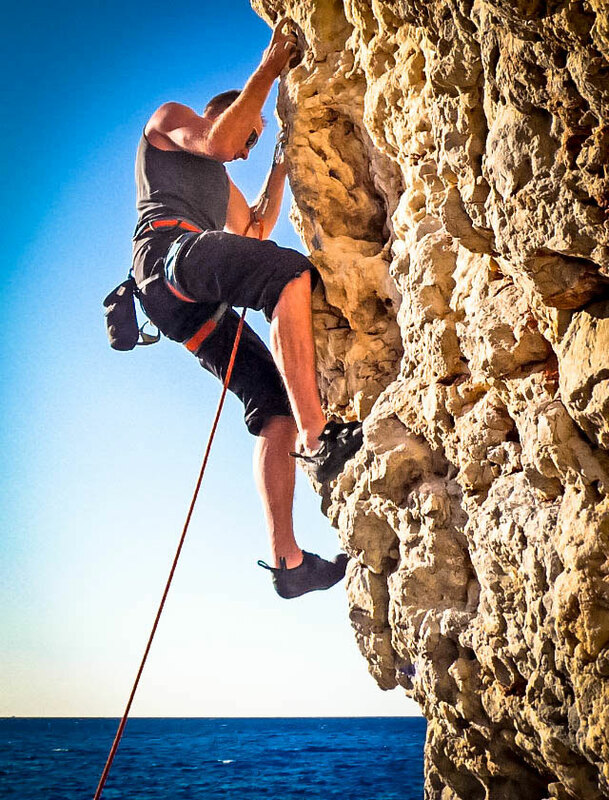 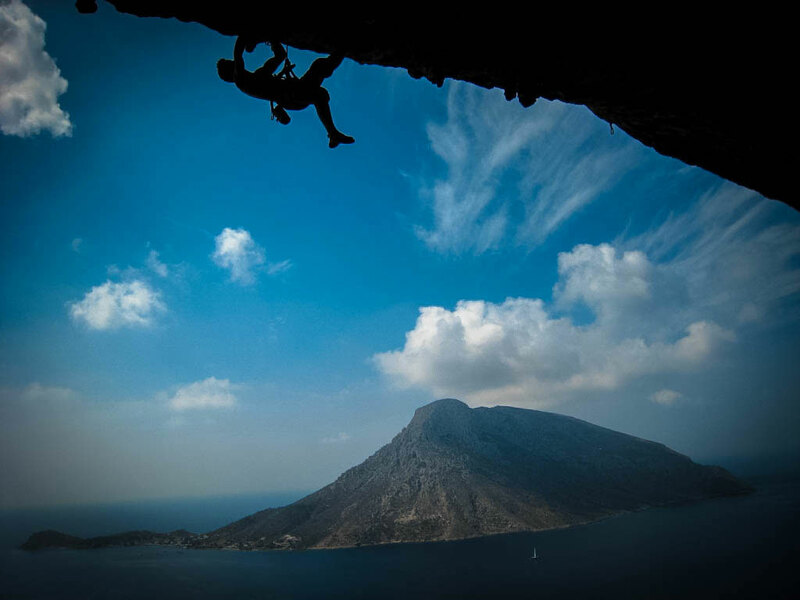 The limestone,the climbing to the stalactites,the numerous caves have prompted some international magazines for climbers such as Vertical,Climbing to classify Kalymnos as one of the most beautiful and ideal locations for climbing. 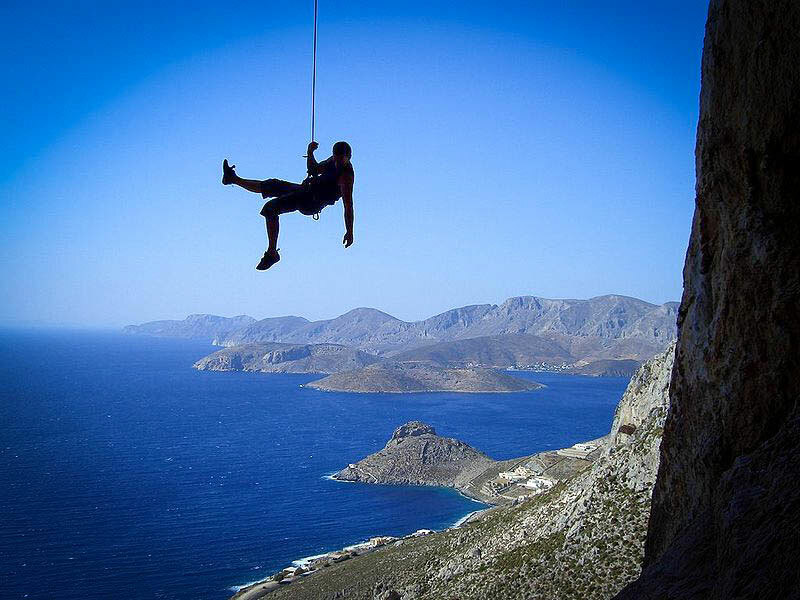 There are almost 60 fields with climbing routes mainly of “one rope” difficulty 4 to 9 which are easily accessible by paths .Most of the tracks of “one rope “ range from 20 to 30 meters.However there are tracks of “one rope”who can reach 50 to 60 meters.Most of the tracks are found at the west /northwest part of the island. 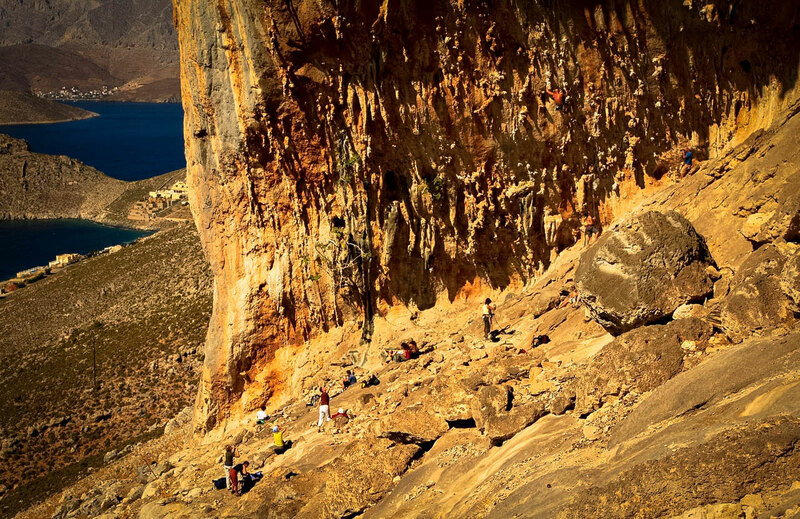 There is an emphasis to create more tracks of “many ropes” of different heights in Telendos. 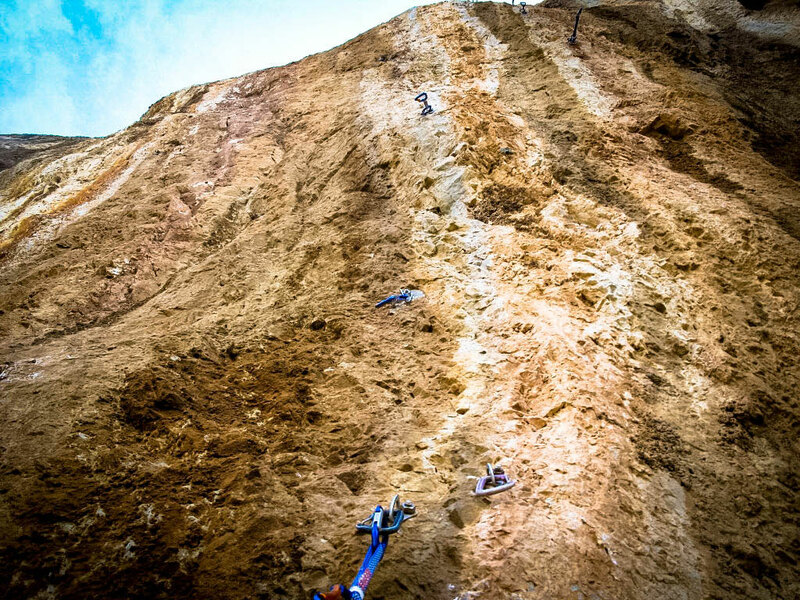 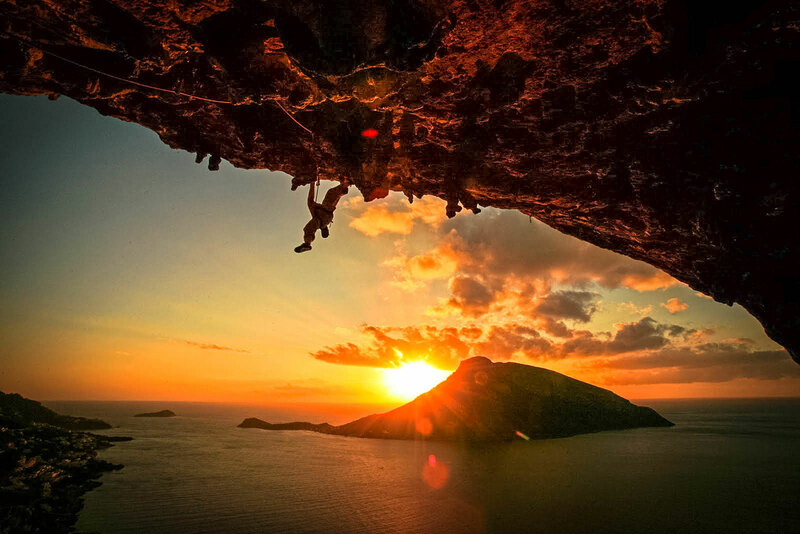 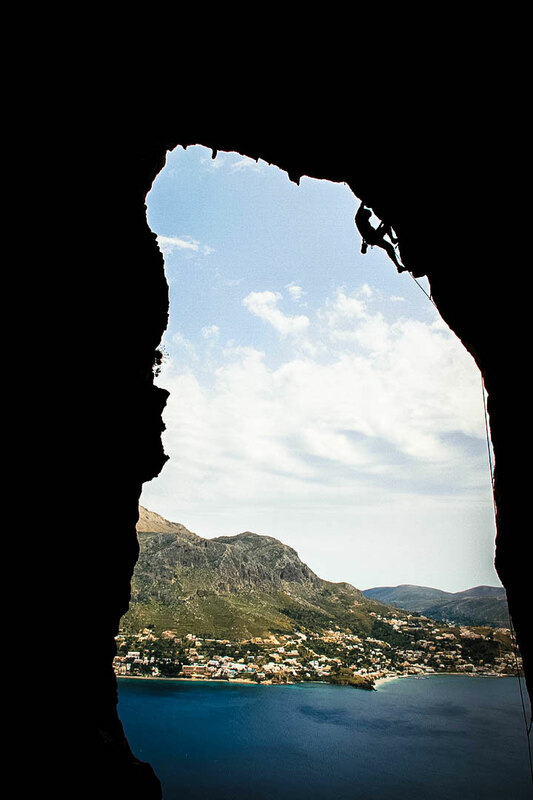 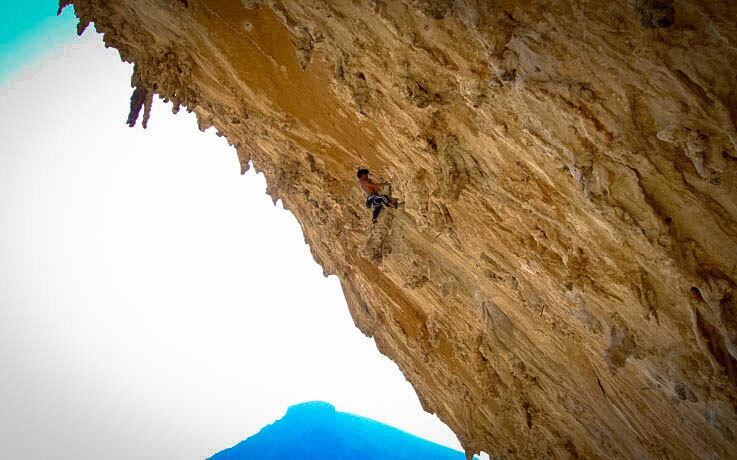 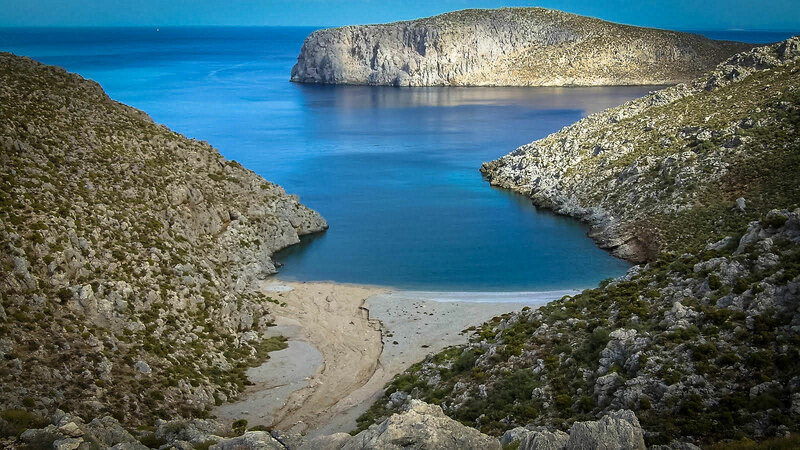 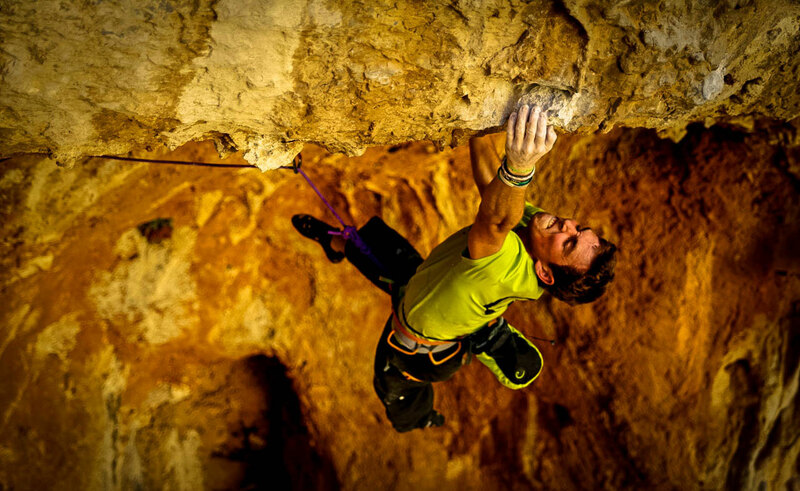 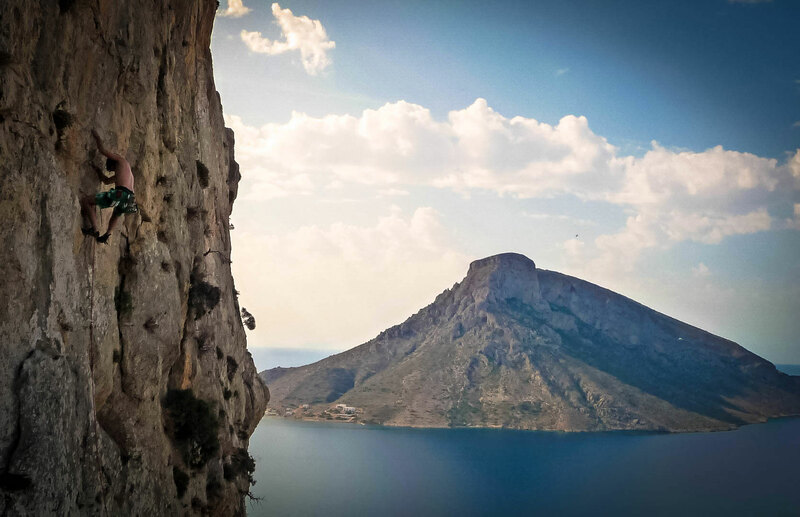 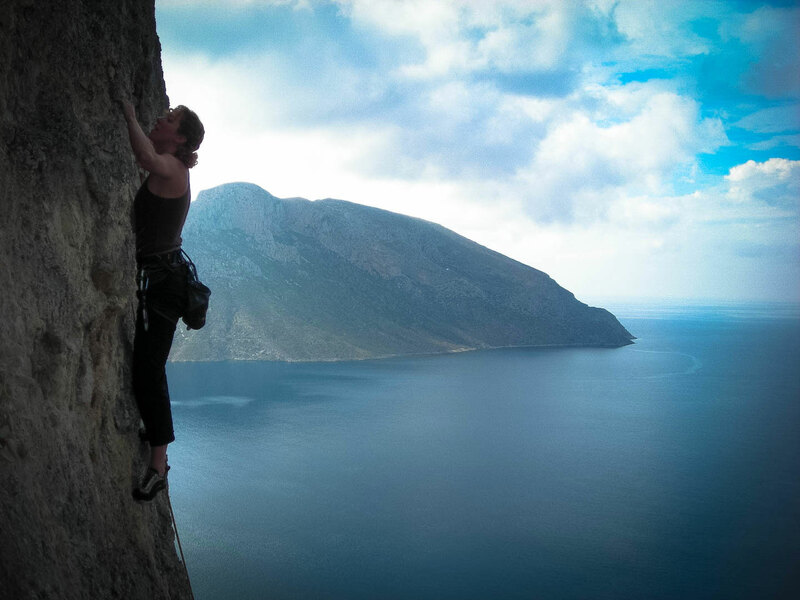 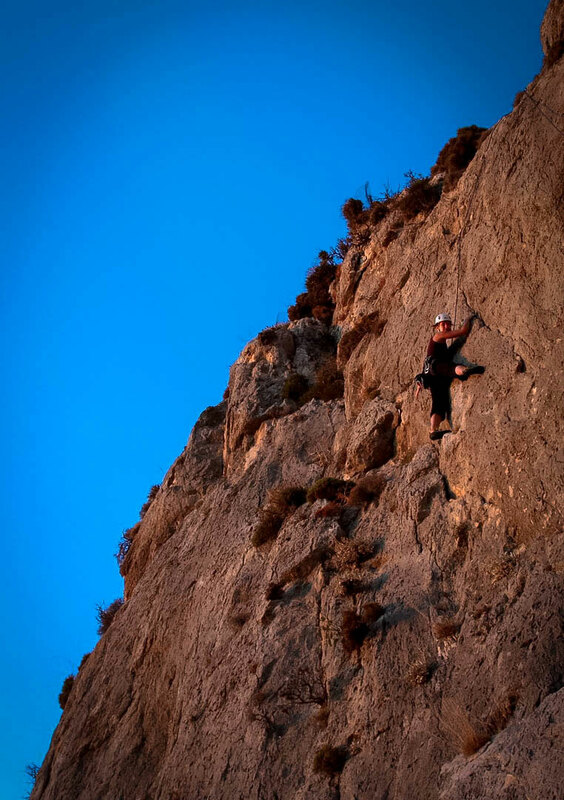 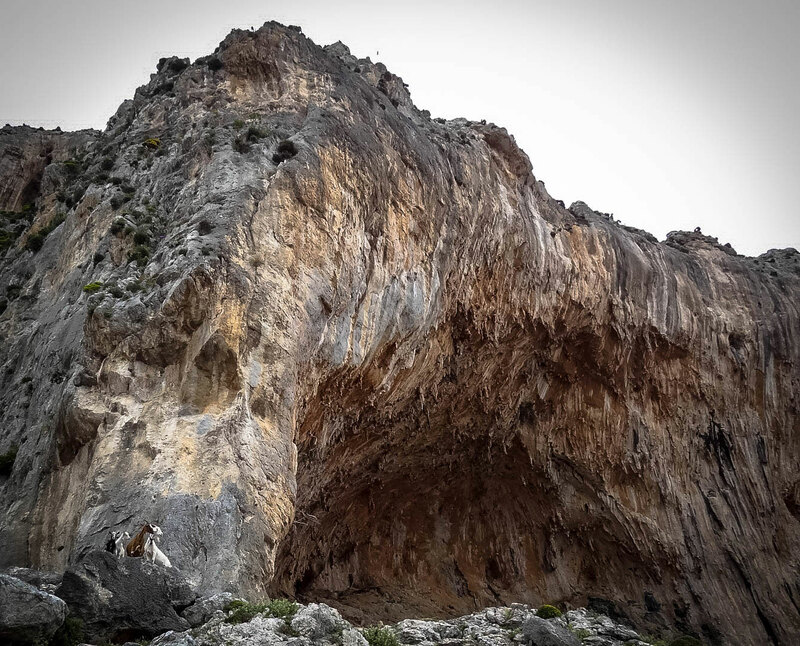 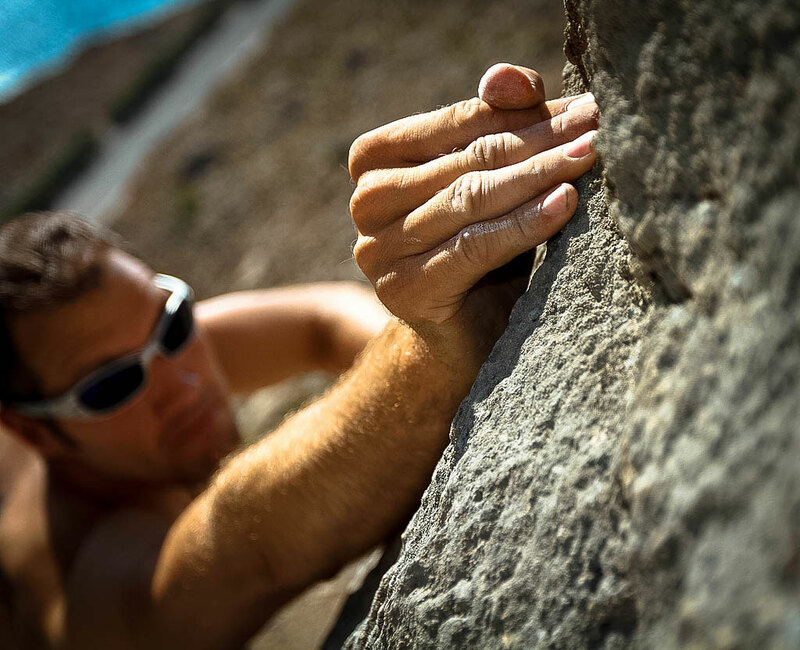 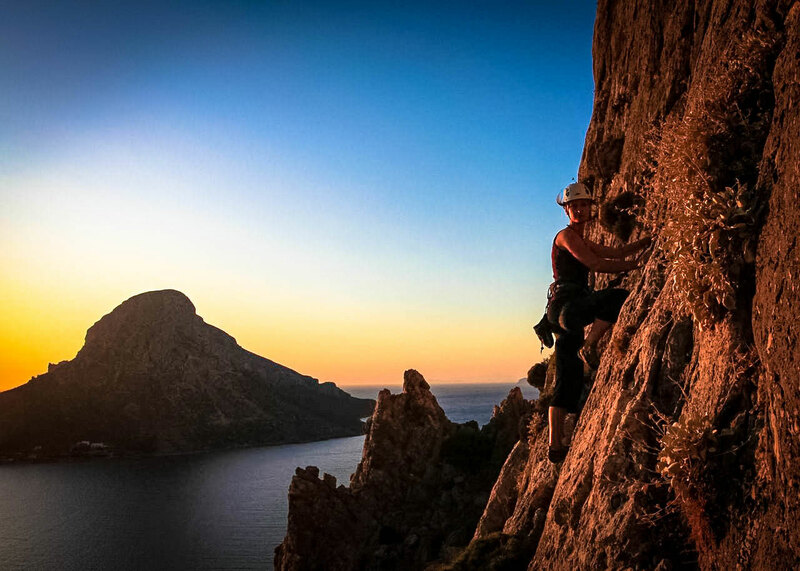 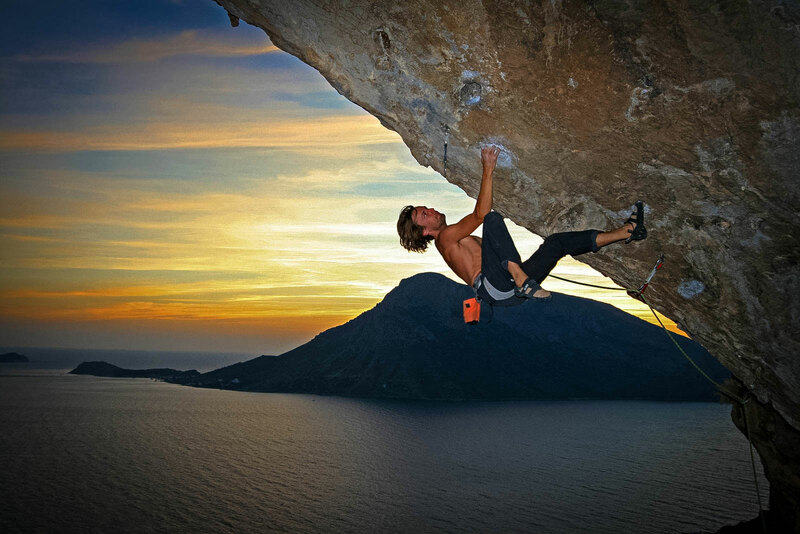 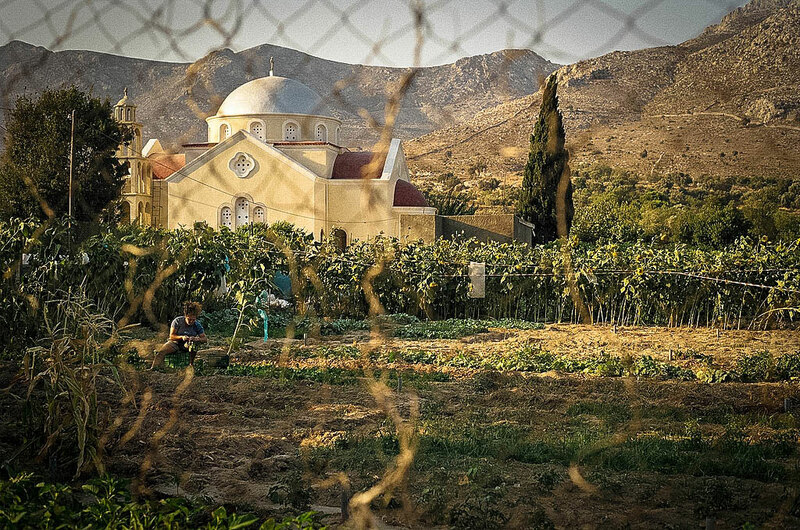 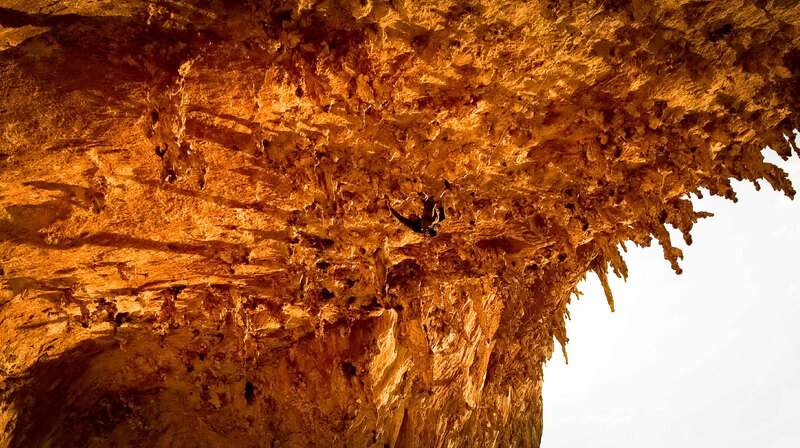 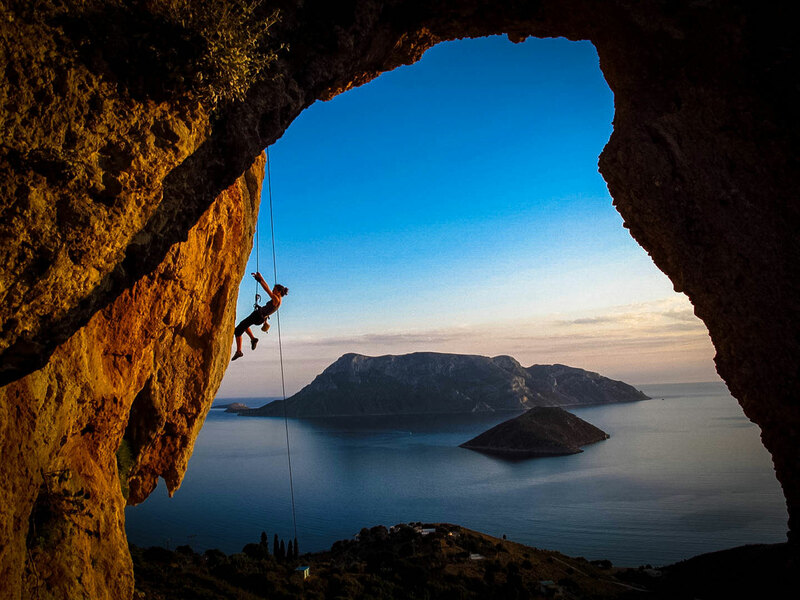 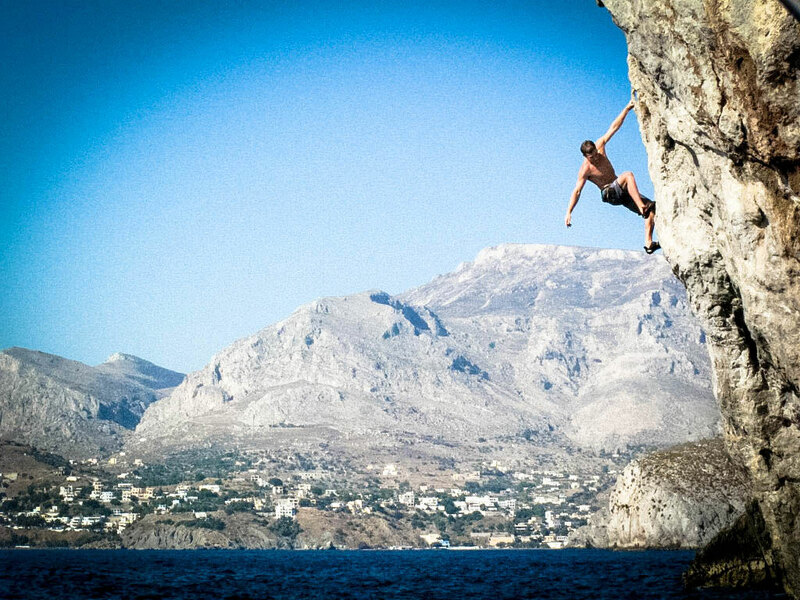 150 new climbing routes are created every year in Kalymnos. 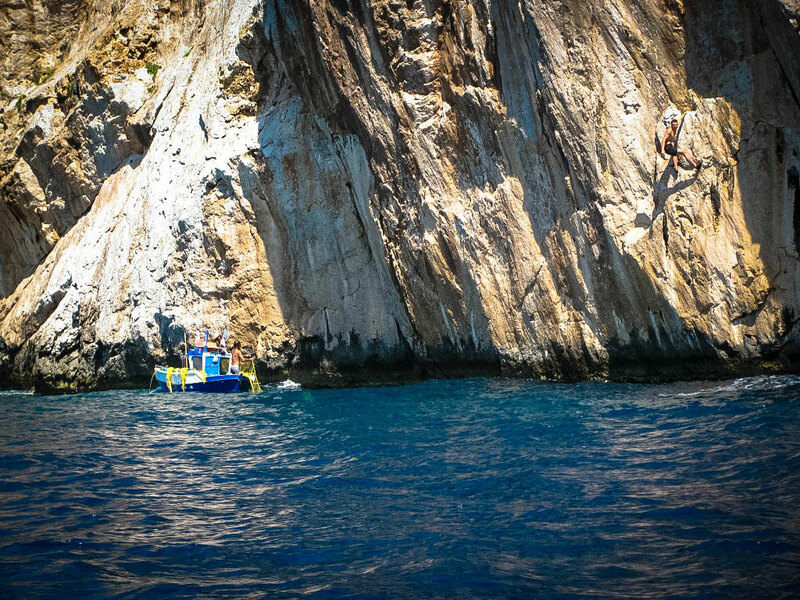 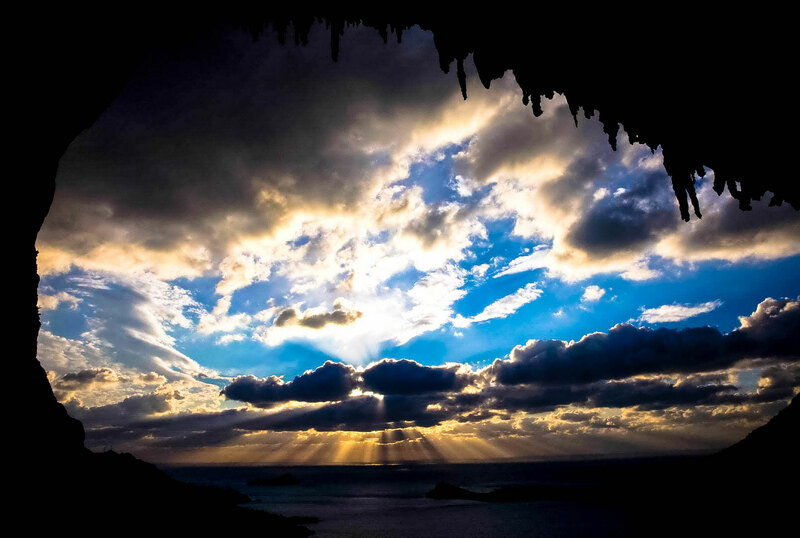 At this moment the island has more than 1300 organized climbing routes.